Our Halloween was very quiet...we didn't even have a single trick-or-treater despite the huge pile of candy we had waiting. Though that isn't entirely unusual, I'd just been hoping we'd have at least the four who came last year come back! As I was waiting for someone to come knocking, I decided to make my own trick-or-treater. 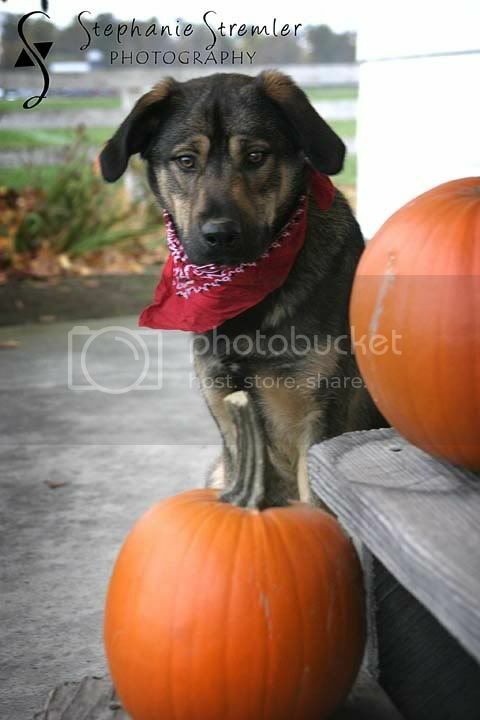 Brandon and I don't dress up our dog Diesel, so he was little wary of what I was trying to do. 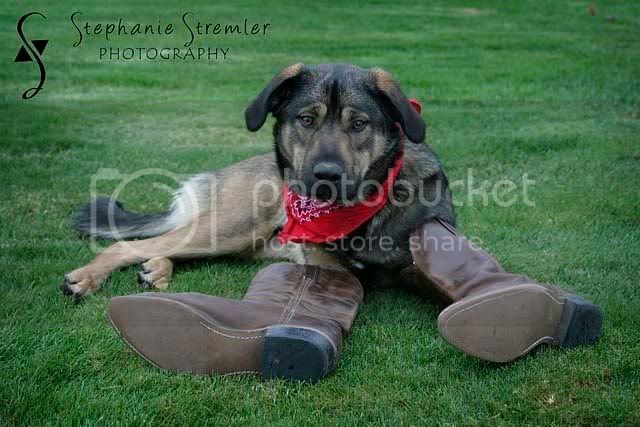 He was great with the bandana, ok with the boots and scared of the hat...which equaled one bare headed little cowboy! So here are a couple shots of Diesel's costume photo shoot--which ended shortly when he decided to dive into the creek (that bandana wasn't looking quite so good after that!). And if you know of anyone who likes Skittles and Three Musketeers--feel free to send them trick-or-treating our way! P.S. I'm experimenting with some new picture posting techniques to please hang in there and leave comments below if the pictures are too big, too small etc! I'd like your feedback on what size works best!